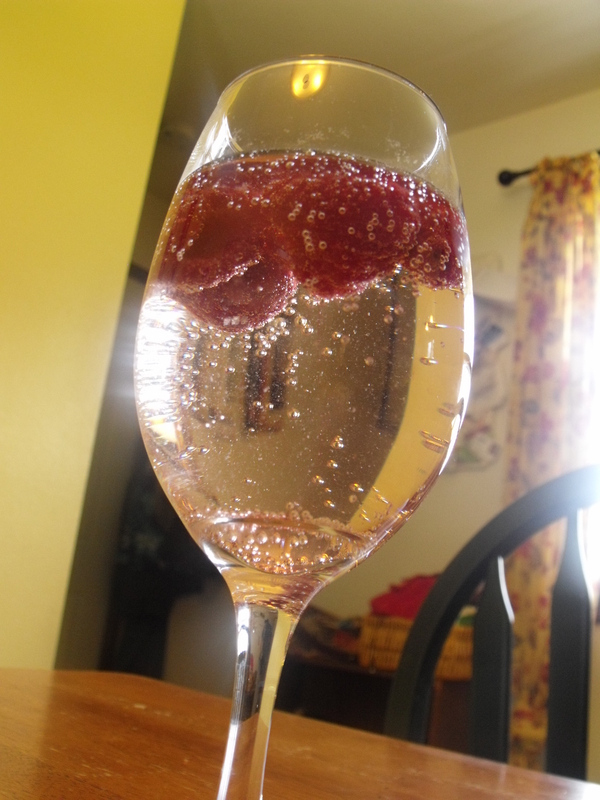 For a change of pace, I decided to give you a recipe for something other than pumpkin food. Shocking. I know. After a long couple of weeks, some friends and us had a taco night. We’ve done this before and its seriously probably one my favorite times. We go all out. Hard shells, tortillas, chips (this time, homemade by Beth), guacamole (also made by Beth), salsa, pico de gallo, re-fried beans, sour cream… I’m sure I’m forgetting something. Either way, it was a big hit and this is super easy to put together! 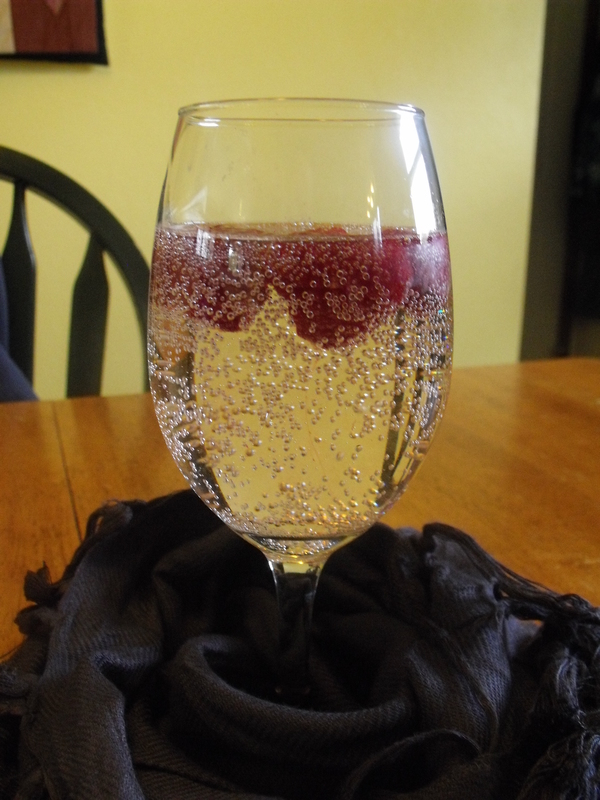 In a pitcher, combine equal parts wine and Sprite. Add raspberries to taste. 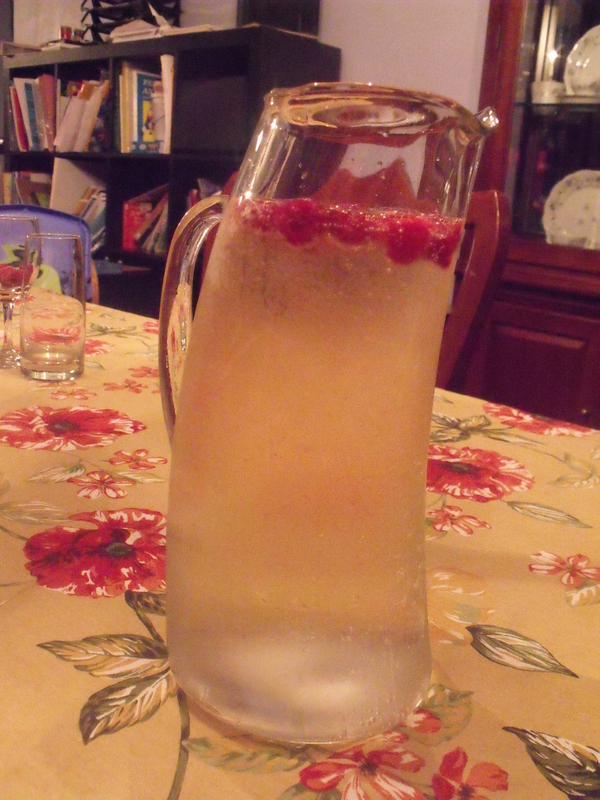 I enjoyed adding the raspberries to each glass to be used as ice cubes. Thanks to Janelle for the use of her beautiful pitcher and the table cloth that happens to match perfectly!! !